Get .uk Domains With HostNine for $15 a Year! We think this new easier-to-use domain extension is a great addition to our current offerings and we’re pleased to be able to offer it to you! Please contact our Billing department for assistance with registering a new domain name, or if you have any questions regarding the registration process. I bet you’ve seen this warning at the top of your WordPress dashboard before. It’s easy to ignore, but there are several really important reasons NOT to ignore it. WordPress, just like any other software on your computer, needs to be updated regularly. Unlike most software and programs though, WordPress is open source. Many many people are working feverishly to improve and fix old problems with WordPress, which means that updated versions are released pretty frequently. To improve features. New features that are released often help make WordPress easier to use. If you wait to update two or three versions of WordPress at a time it could cause problems with your site. Safety reasons. WordPress updates may contain new security features that help prevent hackers and other bad-doers from breaking into your website and inserting malicious code or malware. Not only can this kind of activity harm your site, but it can also cause your site to lose it’s position in search engine results. Bug fixes. New updates can fix bugs that you’re experiencing in your site. If something isn’t working correctly, you may just need to update WordPress. When a new WordPress or plugin update is released it comes with a bug fix report. Hackers can find the weaknesses of old WordPress versions just by looking at these reports. They target outdated sites by viewing the page source for a particular website to see what version of WordPress they are running. The simplest way to avoid being targeted is to keep everything updated. We’ve revamped our domain pricing structure to make things simpler, and to make our pricing more consistent across the board. These new changes impact all new domain registrations and renewals upon the standard renewal time. 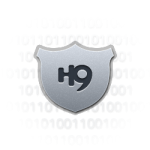 Welcome back to the HostNine Monthly Newsletter. Got a question? Reply back to newsletter@hostnine.com and someone will respond ASAP. You can contact our support team 24/7/365. Need a domain name or transfer? We can help. Most of our popular domains start at $12.95. We can also help with bulk domain purchases or transfers, as well as multi-year registration. Do you think all hosting services are the same? Curious about what makes us different? Take a look at 9 ways we set ourselves apart from the competition right here. Want to know more about us? Give us a shout! Take the stress out of installing applications. Get set up in one click with Softaculous. Check out all the different types of solutions you can access in one click right here! Earn Extra $ With Our Affiliate Program! Join our Affiliate Program Recommend HostNine to your friends and get paid!